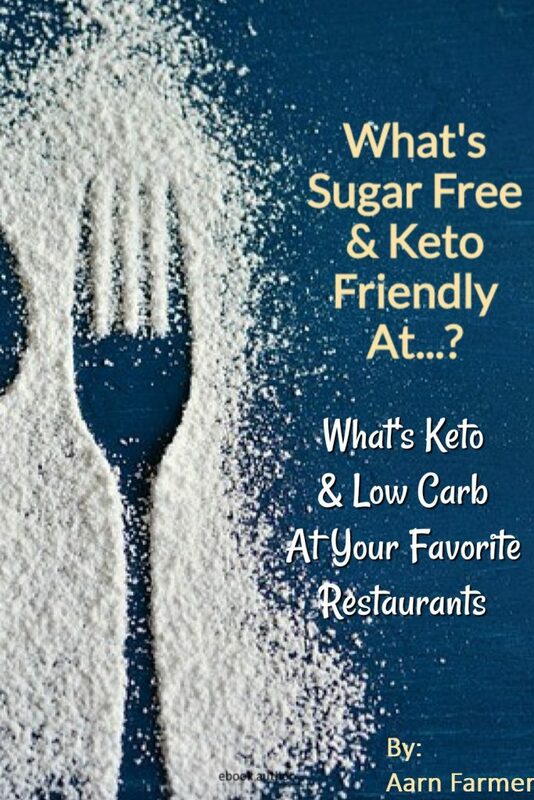 Have you ever been frustrated or worried about the thought of going to a restaurant and being able to tell what’s Keto on the menu? With all of the curing, sauces, and extras sometimes it’s hard to tell exactly what’s in the food. So there are 2 choices – beyond the one mentioned above which makes us not get invited out again 🙂 either stay home and not eat out ever again, or throw caution to the wind and just order whatever and get back on track with your next meal. Well now you can know what’s in your food at a glance! We have compiled a list of over 20 restaurants – fast food and “sit down” – that you can eat at as well as what you can eat! This book will change everything. You no longer have to get anxious when you’re out and need to grab a bite, or when you go out with friends and family. This book can be printed, or downloaded to your phone making it an easy reference right on your mobile device wherever you go! This book includes restaurants such as Starbucks, Chili’s, Olive Garden, Taco Bell, Sonic and more! This book takes the guesswork out of where to eat and what to order. This also makes the perfect gift for another Keto-er or someone just starting out. This takes all of the guesswork out of eating out!